Fully renovated 1 bedroom 2 bathroom condo located in upper village. All new appliances. PAYPAL accepted. The grounds of Ekahi are unparalleled. It seems a new vision of paradise is around every corner. We often start our days with a two mile walk down the beach and boardwalk. On the way back, we take a refreshing dip in the ocean and sometimes stop for coffee or breakfast at one of the wailea hotels. You can play golf at 3 different wailea courses or venture down to makena for golf or a different beach experience. You may prefer to 'veg' on the beach but for those looking to see more of this paradise try a journey to the tropical Hana Coast and Seven Pools, visit Haleakala Volcano for sunrise, hike the lush Iao Valley or venture to Molokini for snorkeling. January through March, the whales put on a spectacular show - often visible right from our oceanfront pool. The World Wind Surfing Championships are often held near the airport in Spreckelsville. A drive to 'Upcountry' is a must. Newly renovated and master bath freshly painted. (2) cordless with answering machine. yes, split units with remote. fully renovated with loads of space. There are 4 pools on the property. Very clean, nice , comfortable, great pool facilities! The location was very nice, however, it was listed as ocean view and there really wasn't much view of the ocean from 36D. Also, finding 36D was not very easy. The address was 3300 Wailea Alanui, but the entrance to the block of buildings where 36D was located was off of Okolani Dr. It would have been nice if a map of the complex layout was included in the arrival information. The location was close to a beach with regular sand for walking on. It was also close to the Shops at Wailea which had a lot of good restaurants and stores. Overall, a nice place to stay with many amenities close by. My husband and I had an awesome stay at Deb's condo in Wailea!! The location is wonderful, the beach access was truly incredible and we were so grateful for the chairs, umbrellas and boogie boards that were available for our use. 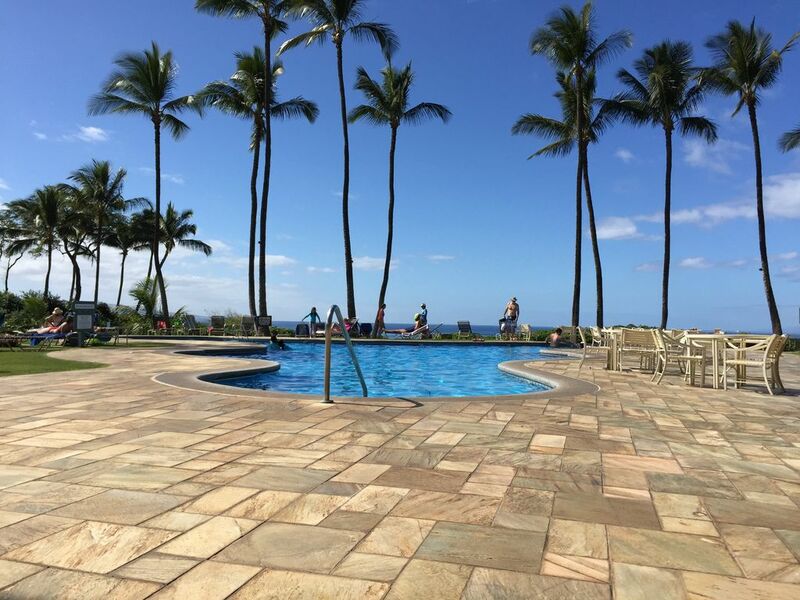 We chatted with a few other visitors staying at Ekahi and they mentioned that they were given these accommodations - it is a really nice little perk. We also enjoyed the proximity to Kihei and the restaurants in that area. Deb provided great communication and checked in on us before we arrived to ensure we were all set. We will definitely be back in the future. Beautiful, updated, well equipped and perfect location! Condo was very well equipped from cooking meals to going to the beach! It had plenty of beach chairs, boagie boards and beach towels! Everything was updated and the complex and pools were awesome! Location in Wailea was amazing! Had a great stay! Thank you. Perfect for our family of 4. Lots of living space and wonderful amenities. We have 2 young daughters and the large living room with Murphy bed, 2 bathrooms and separate dining area and patio were perfect. We loved the walking distance to the pool and beach. The pool was fantastic, with lounge chairs and umbrellas. We appreciated the easy access to the beach, too. A short drive to restaurants and shops in both Kihei and Wailea. Lots of other friendly families in the complex. It had a very pleasant, safe and approachable feel. We would stay here again. Our unit was very comfortable and homey. We had everything we needed. The people were friendly and helpful. I would highly recommend staying here. Thanks, Debrah for your hospitality. Mahalo! no smoking and no pets. Ekahi is renovating the beach pavilion April 22- October 15th 2019. The pool will be open and also the other 3 pools are open.